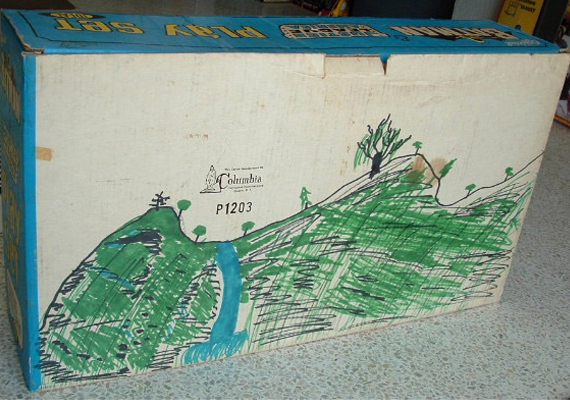 We here, at Randy’s Toy Shop, pride ourselves on bringing your damaged boxes back to displayable masterpieces. Our services can be tailored to your needs whether you’re looking for a simple reassembly or a crack-free museum quality restoration & preservation, we can help. We offer tape, ink and any stain removal – also, water damage, fading, missing areas, tear and hole repair. Whatever the problem, we will make those priceless boxes a pleasure for you to display. 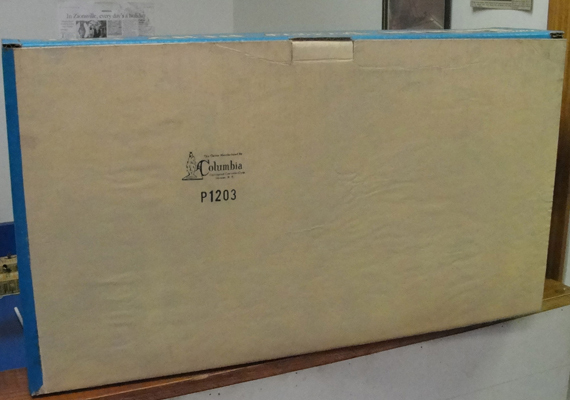 We can repair your paper products from puzzles to posters – if it’s cardboard, you are at the right place. We always give an exact estimate in writing and wait for your approval before starting any work. For more information contact us. We have "brought back to life" over 20,000 old toys and their boxes coming up on our 30th year of restoration! Below are just a few of the many museum-quality, antique box restorations & preservations that have made Randy’s Toy Shop popular among antique toy collectors around the world. 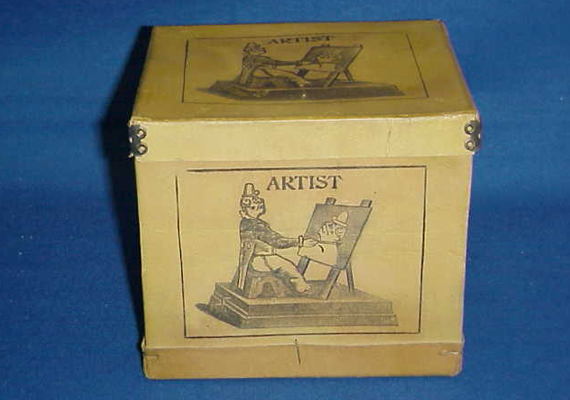 This is a before shot of a rare box for the German-made Artist Drawing Clown manufactured by Phillip Vielmetter, circa 1900. 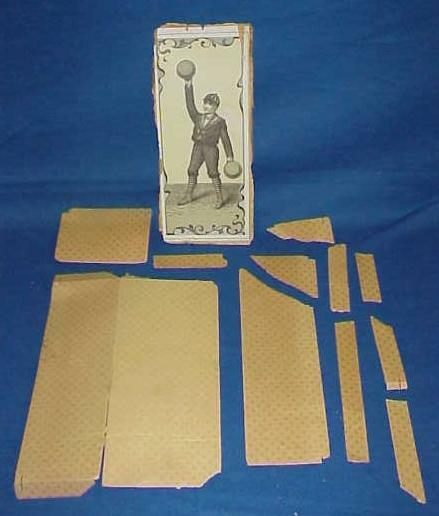 This is a final look of the magnificent preservation work on cardboard and boxes done here at Randy’s Toy Shop. 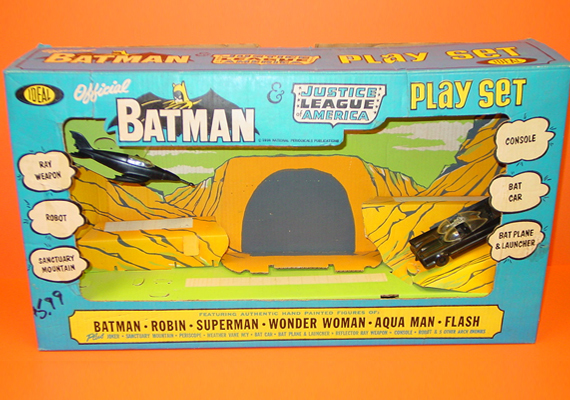 This is a corrugated Ideal Batman Justice League of America playset box in its original condition. 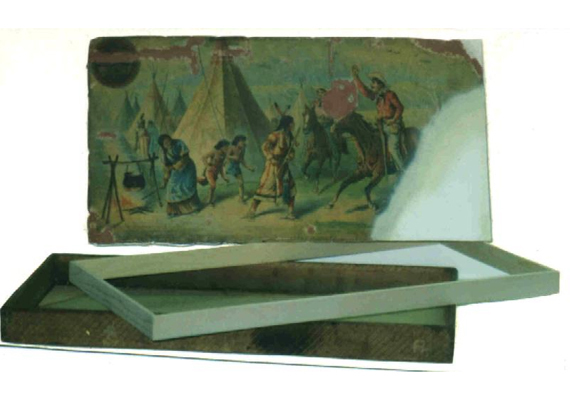 Corrugated boxes, as you know, require a completely different restoration process than other boxes. This is the amazing result of one of our unique corrugated box restoration. We can perform this work on playset boxes, pressed steel boxes, and Lionel train set boxes … just about any corrugated box! 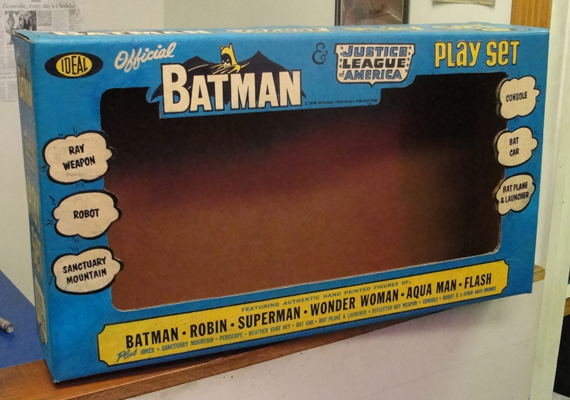 This is the back of the same Batman playset box showing the massive amount of permanent magic marker which required removal in our unique process. This shows the result of our cleanup process and the box is completely restored to new condition. 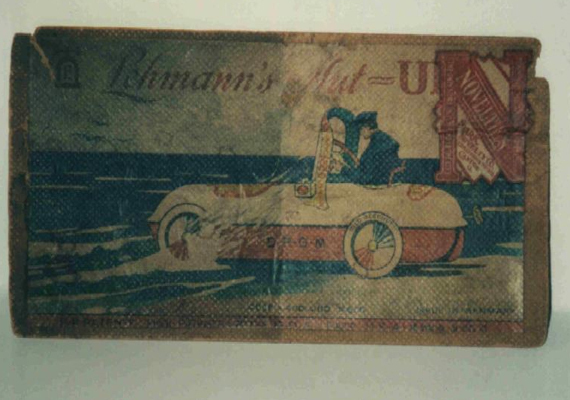 This is a rare Lehmann box going through our state of the art cleaning process; half the box has been cleaned. Here is another fine example of the quality box cleaning process that Randy’s Toy Shop has perfected. 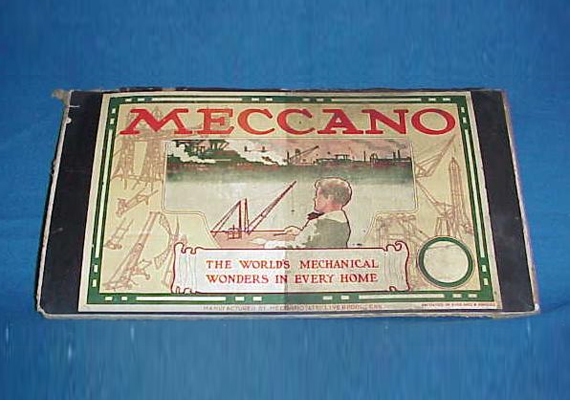 No other antique toy repair shop can offer quality like this! 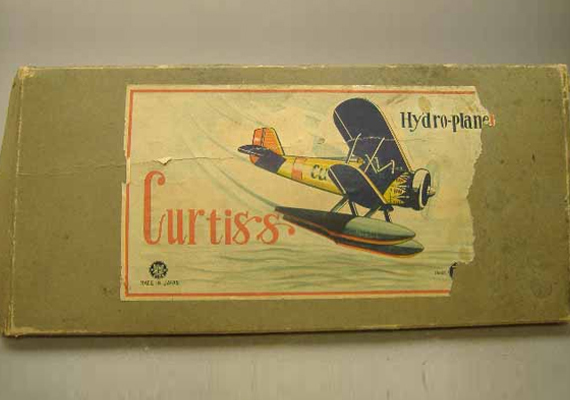 This is a pre-war Japanese Curtiss seaplane box requiring a paper label restoration, in its original condition. This is after our unique invisible paper label conservatory showing our invisible repair process. The box looks perfect now! 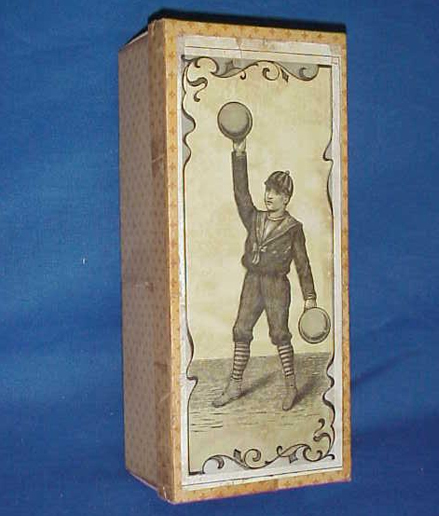 Here you see a rare Guntherman “Ball Twirling Boy” box, circa 1900’s, in bad need of restoration. 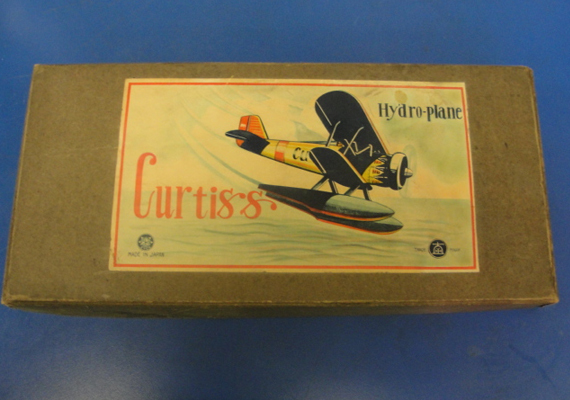 Here is the same box after complete museum-quality restoration by the expert technicians at Randy’s Toy Shop! 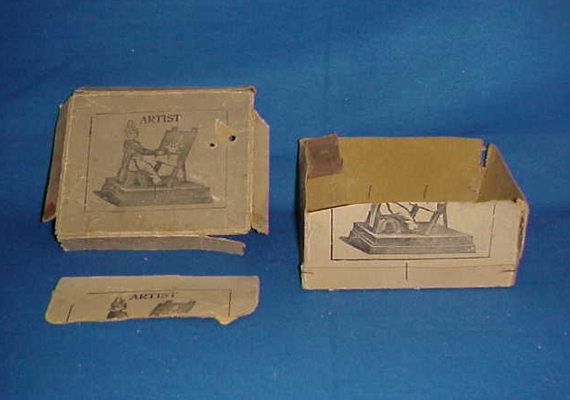 This is a shot of a McLaughlin “Cowboy Puzzle Blocks”, circa 1890’s. This shot is midway through our restoration procedures. Note the wooden box frame and replaced areas filled in before final assembly. Here is the completed restoration with artwork and the exclusive Randy’s Toy Shop “crack-free” process. 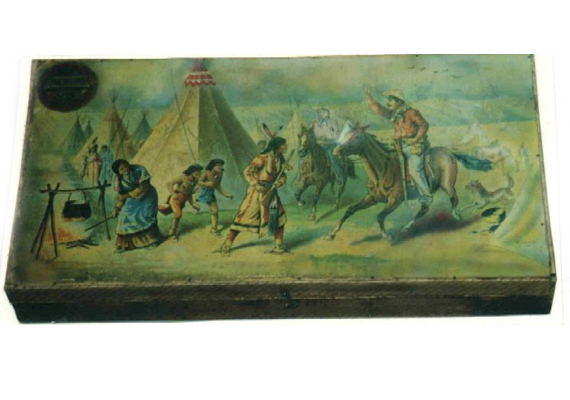 For more information on antique box repairs and restorations, please contact Randy or use online repair quote.